NCERT Exemplar Problems with Solutions for Class 6, 7, 8, 9, 10, 11, 12 all subjects like Maths, Science, Physics, Chemistry, Biology Pdf free download was designed by expert teachers from latest edition of NCERT Exemplar Books to get good marks in board exams. Here we have given CBSE NCERT Exemplar Problems with Solutions for Class 6th, 7th, 8th, 9th, 10th, 11th, and 12th. NCERT Exemplar Problems with Solutions was introduced by the National Council of Educational Research and Training Organisation to develop the problem-solving skills and higher order thinking skills of students. Detailed and appropriate solutions are helpful to students in solving questions in the competitive exams. We hope the given NCERT Exemplar Problems with Solutions for Class 6, 7, 8, 9, 10, 11, 12 all subjects like Maths, Science, Physics, Chemistry, Biology Pdf free download will help you. 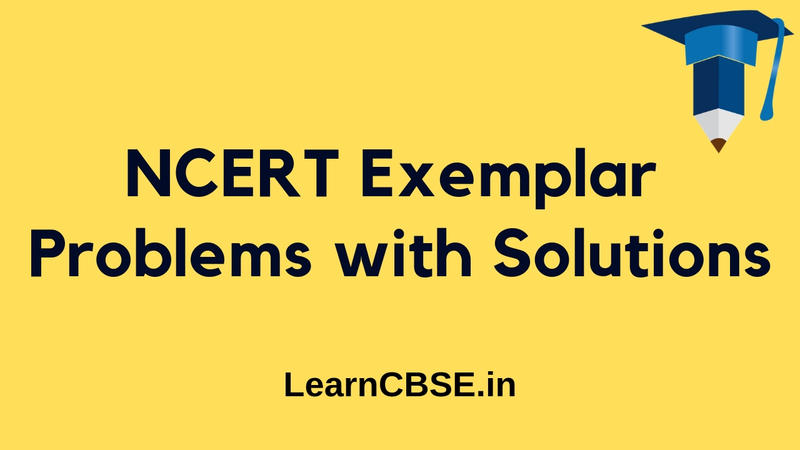 If you have any query regarding CBSE NCERT Exemplar Problems with Solutions for Class 6th, 7th, 8th, 9th, 10th, 11th, and 12th, drop a comment below and we will get back to you at the earliest.